I will forever and always claim that I am the one who discovered Matt Daley… kind of. But I know I’m definitely the first one who started bragging about what a great pitcher he was going to be; therefore, my discovery. Now, I haven’t been around MLBlogs in a while, nor been reading too much of the newspaper, but I am going to go ahead and claim my discovery of Charlie Blackmon. Obviously I use the words “my discovery” loosely. I’m pretty sure his agent would argue with me on who discovered Charlie Blackmon. 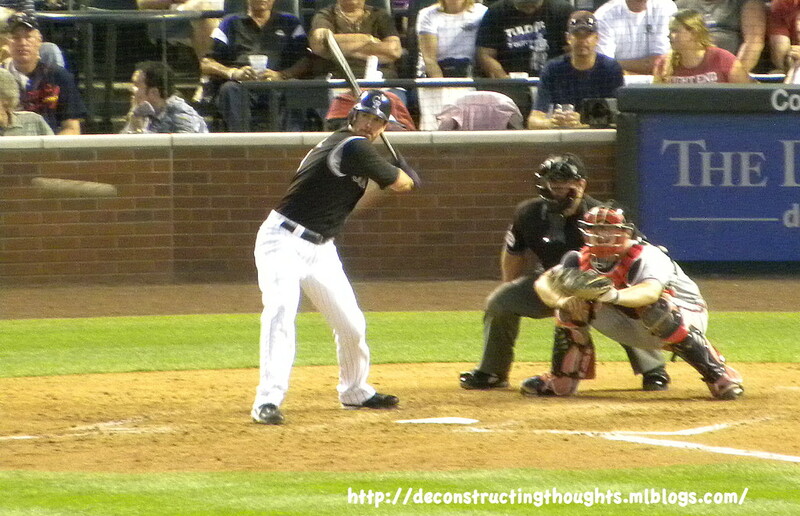 Charlie Blackmon is a left handed outfielder who has made his presence known with the Rockies. After attending Young Harris Junior College for two years, Charlie transferred to Georgia Tech. What kind of annoys me about this is that I have visited Georgia Tech. 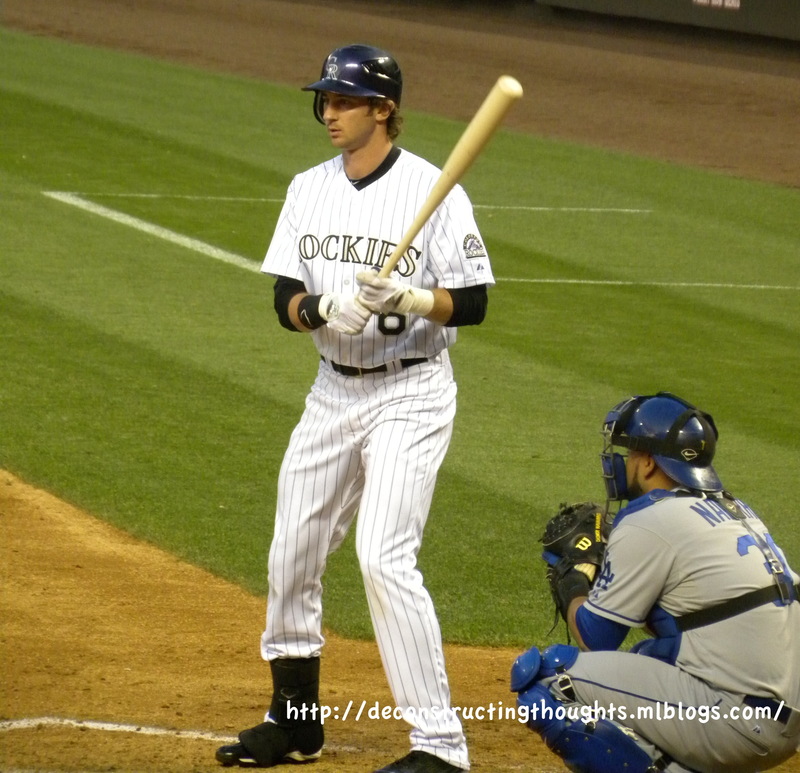 If I would’ve gone to a baseball game, I could’ve potentially seen Charlie playing, and then when he came to the Rockies, I could’ve been like, “I saw you playing at Georgia Tech!! !” Guess there’s not a lot I can do about that now. 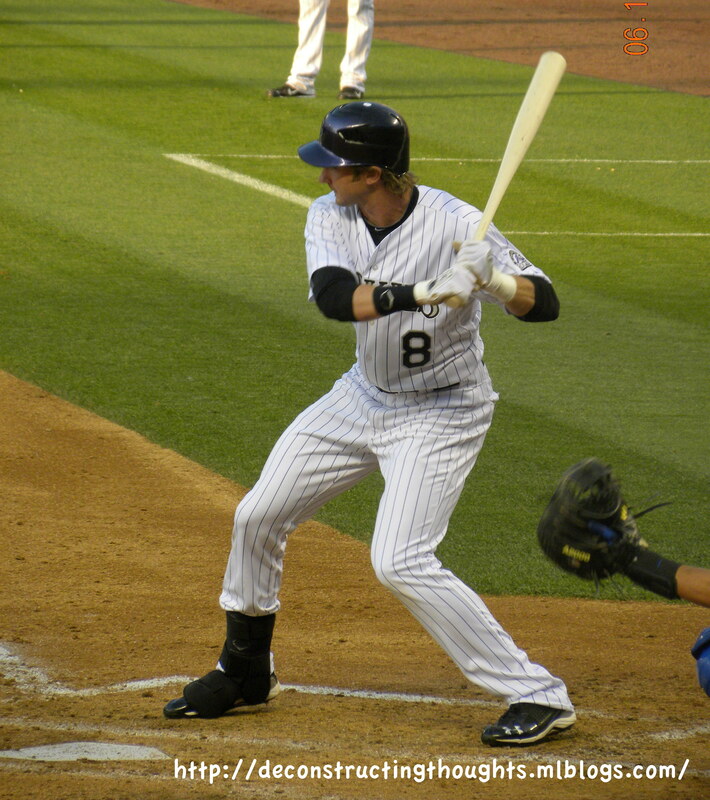 Charlie was originally drafted as a pitcher to the Florida Marlins in the 28th round of the 2004 draft and in the 20th round of the 2005 draft by the Red Sox. He pitched two games at Georgia Tech before moving to the outfield. 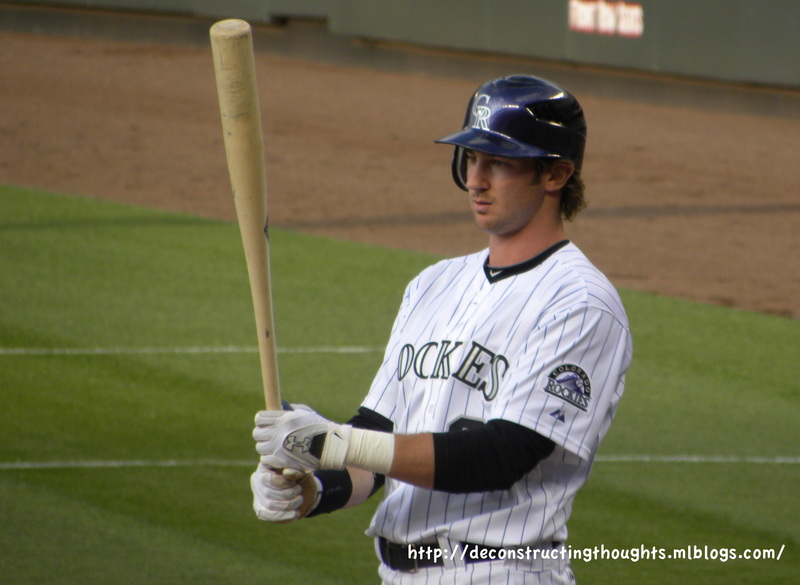 The Rockies selected him in the 2nd round of the 2008 draft as an outfielder. He’s made remarkable strides in Triple A with the Sky Sox. He was batting a .325 average with 38 hits, 25 RBIs, and six stolen bases. Not only that, but in 28 games, he hit six home runs. After being called up on June 8, Charlie has five stolen bases, and although he is batting below .300, Charlie is still working out some mechanics. I can easily see him becoming a 4th outfielder if not a regular position player. 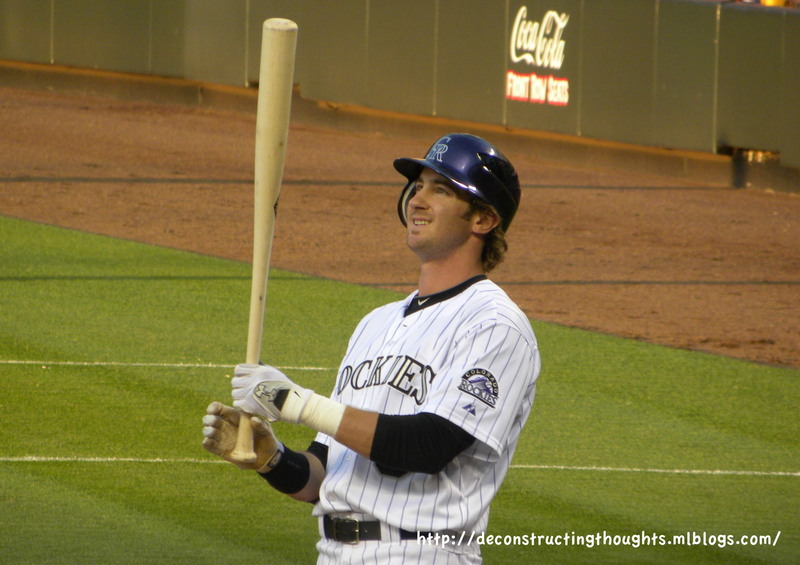 One more thing, does Charlie Blackmon’s batting stance remind you of anyone? The pictures aren’t the best, but he reminds me a lot of the way Brad Hawpe hits. I’m really excited about this kid, and I think he’s going to do some great things for this team. He’s young, enthusiastic, and possesses a great deal of talent. He’ll be big here. Just wait.